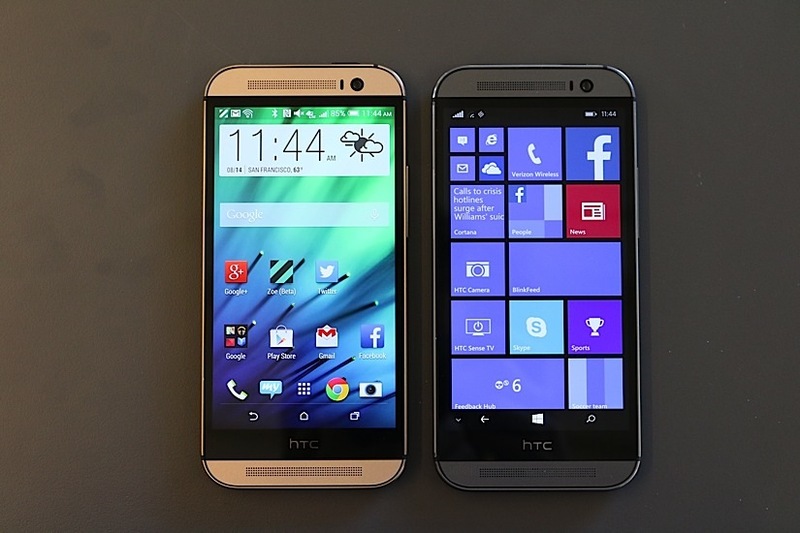 Yesterday, HTC announced at NYC, a Windows Phone version of its Flagship device of 2014, HTC One M8. With the same specs starting from Speakers to the CPU, the devices are purely identical in terms of hardware. The only difference between them is the Operating system. This device provides a pure platform for Android vs Windows Phone Battle for the fans and within a day of its unveiling, comparisons have started. The hot topic among smartphone users is battery life and therefor the first comparison that popped up is of endurance level of both the devices. 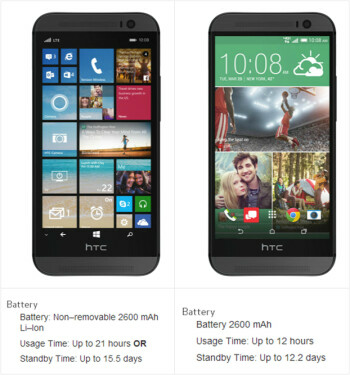 Since the HTC One M8 WP hasn’t be released yet, the current comparison is based on claim made by HTC and Verizon. According the smartphone manufacturer and the American Carrier, both devices running on the same Battery, have different Usage and Standby times with HTC One running Windows Phone 8.1.1 taking the lead. While the usage time of WP HTC One is almost double to that of Android HTC One, the gap is lesser in the Standby time but still existent. While this might just be some gimmick specs, a lot more will be learned once the WP HTC One is available to us. There needs to be a comparisons of how much the screen and respective OS are draining from the battery, How both devices handle Camera usage and video recording and so forth. Also, since Windows Phone 8 is a rigid OS and Android is not, how much can Android device be rigged to improve battery life can be highlighted.